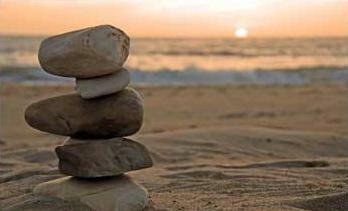 Do you know why balance is so important on all levels, be it physical, mental, emotional, spiritual? Why there is necessity of balance? Balance allows the accessibility of All that Is. Imbalance is the elimination of segments of possibilities. Imbalance is energetic suicide to the access of All That Is; one begins to eliminate availability to potentiality. Imbalance is a minimization of the thought process of the One Mind. It is a filter that literally not only distorts the image but also eliminates certain of the rays of light. It would be like removing one of the color spectrums from the picture. Imbalance removes the existence of the projection upon The One Soul, the difference between a color and a black & white image. The blues, reds, yellow, magentas do not exist. Imbalance is the master tool of the negative ego. Imbalance strangles emotions, shuts off abundance. Imbalance is born from a conscious intent to eliminate certain aspects as possibilities. Imbalance is the effect, the result, of an internal choice. Therefore, as in any projection do not scramble to change what is on the screen. Go to the energetic source. You can make your journey less arduous by balance. Remember you create the balance by opening up the possibilities. Balance does not eliminate inappropriate behavior, balance equalizes the projection. You have opened up those aspects of projection.